Despite immense strides in treatment, diabetes still causes around one in eight adult deaths in the UK, while poorly controlled diabetes can cut up to 20 years from your life expectancy. 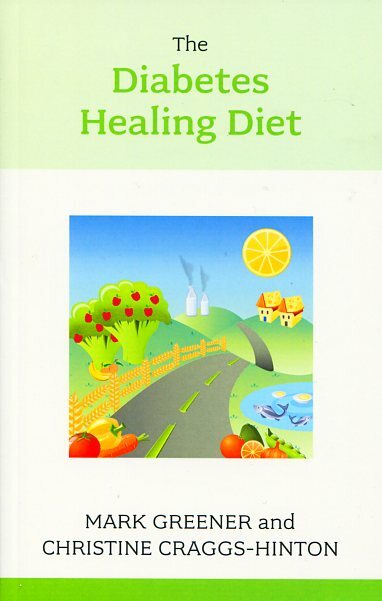 The Diabetes Healing Diet shows how show how wise food choices and a healthy lifestyle help people avoid the worse ravages of diabetes, including disability and even premature death. 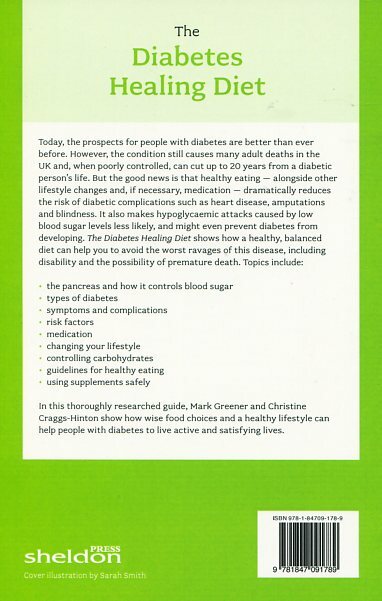 The Diabetes Healing Diet by Christine Craggs-Hinton; Mark Greener was published by Sheldon Press in September 2012 and is our 36846th best seller. The ISBN for The Diabetes Healing Diet is 9781847091789. Be the first to review The Diabetes Healing Diet! Got a question? No problem! Just click here to ask us about The Diabetes Healing Diet.